carriers at fair and economical freight rates. insurance for delivery. All products shipped require a signature on receipt. Deliveries are made to job sites, commercial buildings and homes nationally and internationally. Shipments can be courier, LTL or Full containers. that you do not have to be concerned with border issues. logistic depot such as a Fedex warehouse to save money. a regulation truck at truck bay heights with a pump truck on the van or truck itself. is not part of your quoted freight costs, thus an extra fee will be levied. is your responsibility - if it does not fit rent a van or have us freight it to you. Our freight brokers find the least expensive reliable carriers for you. 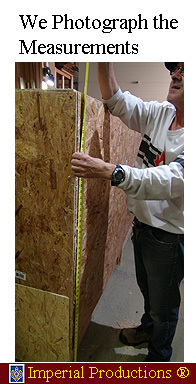 the size and real weight of the crate or package is. Dimensional weight is all about the concept of a ton of feathers vs a ton of lead. Obviously the ton of feathers is huge while the ton of lead is small. ( Length x Weight x Height ) divided by 139. Imperial and paying for the extra service. All carriers are instructed not to take direction from the consignee. Any freight changes will be charged to the client immediately prior to delivery. All freight is shipped with freight insurance against damage during transport. All sales are EXW warehouse. 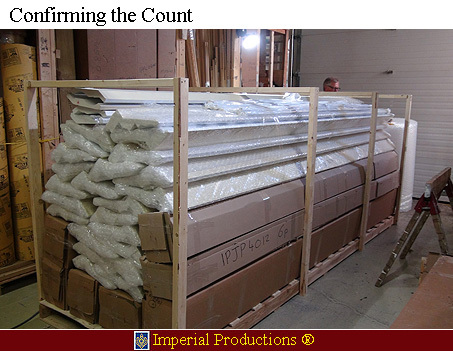 All items are inspected & photographed prior to shipping. When the carrier accepts product, all risk reverts to the purchaser. otherwise or delays caused by the carrier. or lost in transit, the client does so at their own risk and expense. 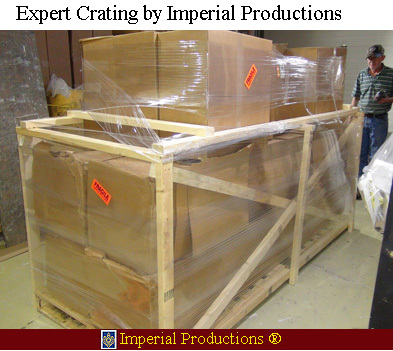 All claims are with the freight carrier not Imperial. For most freight carriers, claims must be made within 8 working days. If an order is refused, all transit & storage fees are the responsibility of the client. or domestic security anywhere anytime. 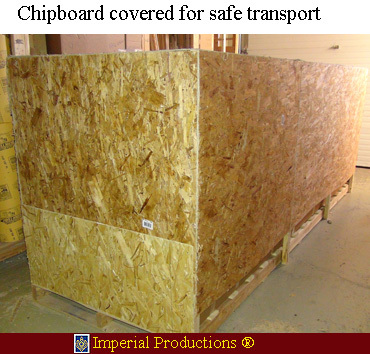 crate for the trucking company verification of size. Imperial ships to 16 countries by courier, ship, and truck. freight schedules, terms and conditions. put on skids for truck shipment. in isolation for safe shipping. Domes must be wood crated and require truck freight. courier as they will arrive damaged. 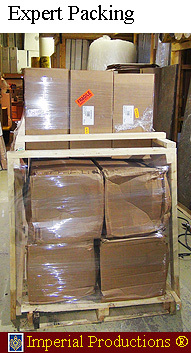 All products are wrapped and placed in a wood frame crate made on skids. their own pump truck on board - do not send vans to pickup crates from any depot.